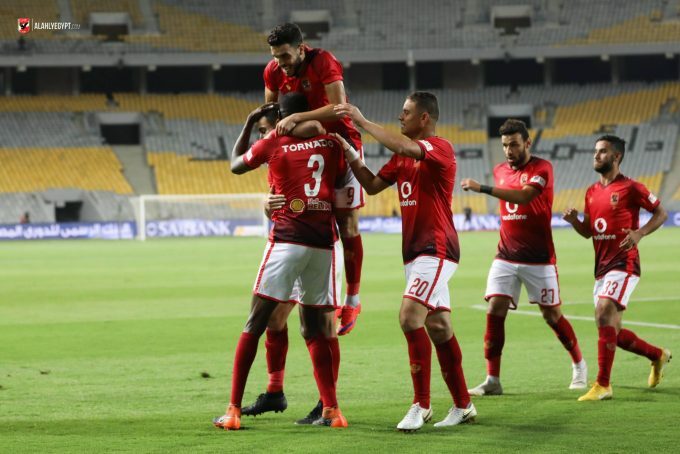 Al Ahly manager Patrice Carteron has announced the team’s 20-man squad set to face Wadi Degla in gameweek 3 of the Egyptian Premier League. After securing their qualification to the CAF Champions League quarter-finals, Al Ahly will now focus on their domestic campaign. They will be looking to get their second league win when they host Degla at Al-Salam Stadium Cairo on Tuesday night. The French manager included 20 players in the preliminary squad as the list saw the exclusion of Saad Samir and Momen Zakaria for technical reasons. The Red Devils kicked off their league campaign with a 1-1 draw with Ismaily before beating Al Masry 2-0 in their second game. Meanwhile, Degla are still winless as they drew with Dakhleya in their league opener before losing to newly promoted Gouna then suffering to a 2-0 loss to Petrojet. Goalkeepers: Sherif Ekramy, Mohamed El-Shennawy. Defenders: Ahmed Fathi, Mohamed Hany, Mohamed Naguib, Salif Coulibaly, Ayman Ashraf, Ali Maaloul. Midfielders: Hossam Ashour, Amr El-Sulaya, Hesham Mohamed, Ahmed Hamoudi, Islam Mohareb, Walid Soliman, Akram Tawfik, Nasser Maher, Mido Gaber. Forwards: Marwan Mohsen, Salah Mohsen, Walid Azaro.